Oops, it seems we find some problems. Please try again! Visit Maui and have a Whale of a time! Vacationing on Maui is a once-in-a-lifetime experience. Make the most out of your Maui car rental by seeing the top Maui attractions. 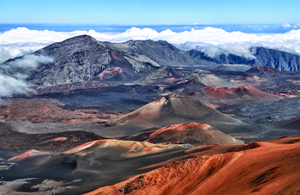 RR Haleakala: Haleakala is a huge shield volcano that encompasses most of Maui. Hop in your rental car to check out the unbeatable hiking and sightseeing destinations this majestic area has to offer. Driving the Road to Hana: The Hana Highway is a 65-mile road filled with unforgettable vistas. Rent a car and take the trek at your own pace to capture all there is to see along this idyllic stretch of highway. Make sure you bring a camera to capture your journey, as you won’t want to miss this near-religious experience. 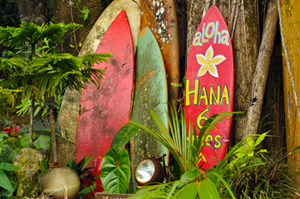 Old Lahaina Luau Maui: Experience Hawaiian history by checking out the Old Lahaina Luau Maui. Don a lei, watch some hula dancing, and enjoy some fresh seafood as you catch the sunset with your loved ones. Great for the whole family, the luau experience will stick with your family for years to come. Beaches & Snorkeling Spots: This island boasts some of the most beautiful beaches in the world. Whether you want to relax on the beach or do physical activities like snorkeling or scuba diving, some top spots include DT Fleming Beach Park, Kanaha Beach Park, and Kahekili Beach Park. There are so many fun activities in Maui. To fully experience all there is to see, book your Maui rental car from AA Aloha Cars-R-Us. With a low price guarantee!